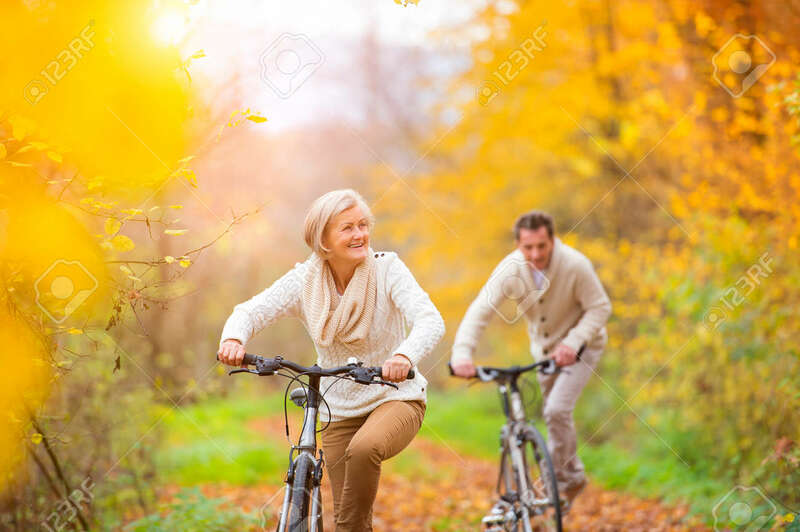 Active Seniors Riding Bikes In Autumn Nature. They Having Romantic Time Outdoor. 免版權照片，圖片，畫像及圖片庫. Image 46799672. 版權商用圖片 - Active seniors riding bikes in autumn nature. They having romantic time outdoor. Active seniors riding bikes in autumn nature. They having romantic time outdoor.